The Explorers Program at The Wardlaw + Hartridge School takes place after school hours and is an extension of the experience we cultivate daily within our Early Childhood Program. Through this program, children continue to play and learn through a variety of hands-on experiences. For our earliest learners, children in Pre-Kindergarten, Junior Kindergarten, and Kindgarten, the cost for before and aftercare is included in the tuition. This program is available starting at 7:30 AM and after school until 6:30 PM. Families can use Explorers on an as needed basis and are welcome to use it everyday. 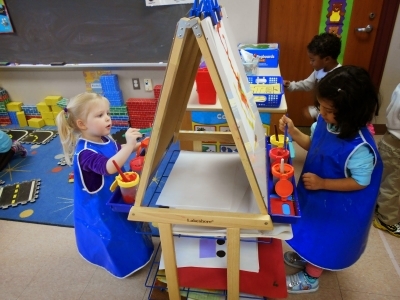 Whether it is through arts and crafts, games, music, or outdoor play, the W+H Explorers Program provides safe and enjoyable care for W-H students in the Early Childhood and Lower School.